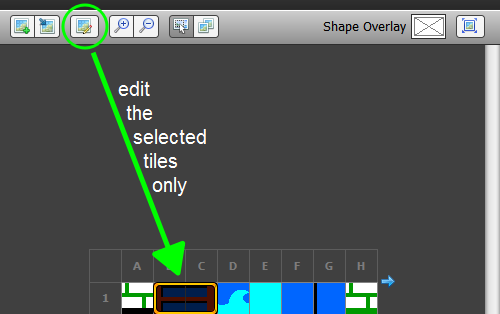 Issue Tracker - Issue #1494: Ability to edit only the selected tiles instead of the entire tileset. Ability to edit only the selected tiles instead of the entire tileset. Issue: Ability to edit only the selected tiles instead of the entire tileset. Issue renamed from "Ability to edit only the selected tiles, instead of the entire tileset." to "Ability to edit only the selected tiles instead of the entire tileset."